Deal Physical damage to target enemy and Stun them for 1 turn if they have more than 50% Turn Meter. Otherwise, gain Advantage for 2 turns. Deal Physical damage to target enemy. If the TIE silencer has Advantage, this attack deals 100% more damage. If this attack defeats an enemy, gain 20% Turn Meter and Foresight for 2 turns. Enter Battle: The TIE silencer gains +25% Offense and the Afterburner buff, which can't be prevented or Dispelled. 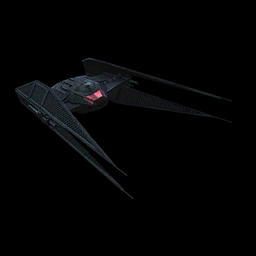 Afterburner: When the TIE silencer attacks with Advantage, reduce its cooldowns by 1. When a First Order ally takes damage, the TIE silencer has a 50% chance to gain Advantage for 2 turns. Each time the TIE silencer is damaged or damages a Target Locked enemy, it gains +10% Turn Meter and +15% Offense (stacking) until the end of the encounter.